Promise Consulting, a market research and brand strategy consulting firm, becomes one of the 300 highly skilled members of the International Consulting Group (ICG). This network, which gathers the best international experts in various areas (marketing, finance, governance, risk management, etc…), is designed to give top-level consulting services to companies. Since its creation in 2011, ICG has gathered strategy and management consultants with a high mark-up. Each has complementary capacities and covers a very wide spectrum of activity and field functions. First global platform for consulting services for companies (multinational or small companies), ICG offers a wholly pioneering approach to consulting: missions led by the best international experts in their fields, who have an innovative insight of their sector, and the constitution of dedicated, agile, flexible and reactive teams. Promise Consulting, dedicated to market research and high-skilled consulting in marketing, is part of ICG’s Marketing practice. Philippe Jourdan, the company’s CEO and co-founder, is now one of the ICG experts. Most of them come from diverse backgrounds: consulting firms, boutiques and freelance consultants. They share common open-mindedness and innovation values, with a strong spirit of entrepreneurship. "We have joined ICG to carry on developing new business fields, in France and abroad, and also to increase the value we offer to our current customers. The return was almost immediate with a very prestigious new client in our portfolio", declares Philippe Jourdan, Promise Consulting CEO. ICG was created in 2011 in Sidney by David Moloney, a strategy consultant specialized in the financial area, in association with other consultants. ICG offers to its clients, both international and small companies, top-level consulting services. Strategy and management consultants as well as the ICG network of consulting provide their abilities, their intellectual properties along with training courses. Members are able to accredit other members in order to enable them to deploy their methodologies in other countries: to join the ICG network, everyone has to show a strong consulting experience, acquired in big consulting firms, and bring value to the network through their expertise or professional network. ICG currently has more than 300 members, 40 in France. 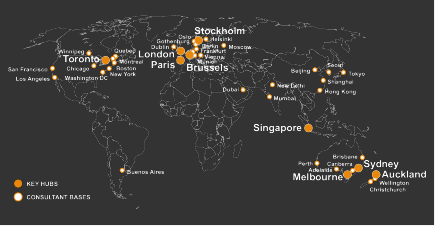 For now, the network has opened hubs in 10 countries: Australia, New Zealand, Singapore, Hong Kong, the USA (New York and San Francisco), Canada, France, Belgium, the United-Kingdom and Sweden. The current target is to open new offices in new countries, especially in Asia, Western Europe or South America. Promise Consulting delivers consulting and market research services. Promise Consulting has created an innovative methodology to measure the brand’s performance and ROI: Monitoring Brand Assets. This methodology has been deployed in over 35 countries to date, and focuses on 250 brand studies in various fields and represent around 800.000 online questionnaires. Based in Paris and New York, the group has led consultancy studies and services worldwide. The group is particularly acknowledged for its expertise in measuring brand value through consumer insights. Promise Consulting managed to develop innovative methodologies and patterns, which have been rewarded seven times over the last 10 years by the profession nationwide and worldwide. The group works with most of the major brands in luxury, cosmetics and selective distribution - especially in the framework of their development in national and international markets. The group also works in many sectors, to help the brands with growing strategies to enable them a better understanding of their market, address their consumers as well as seduce and retain their clients: mass consumption, automotive, financial products, etc… The firm is also certified by the OPQCM (French Professional Agency for Qualification in Management Consulting) and Social Media. 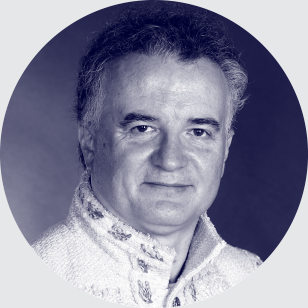 Promise Consulting’s CEO, Philippe Jourdan, is the chief editor of the ADETEM’s review (French National Marketing Association) and also for the RFM (French Marketing Review) since 2011. He regularly publishes in global academic periodicals articles concerning brand evaluation in luxury and cosmetics. He is also a university professor and researcher at the IRG (CNRS).